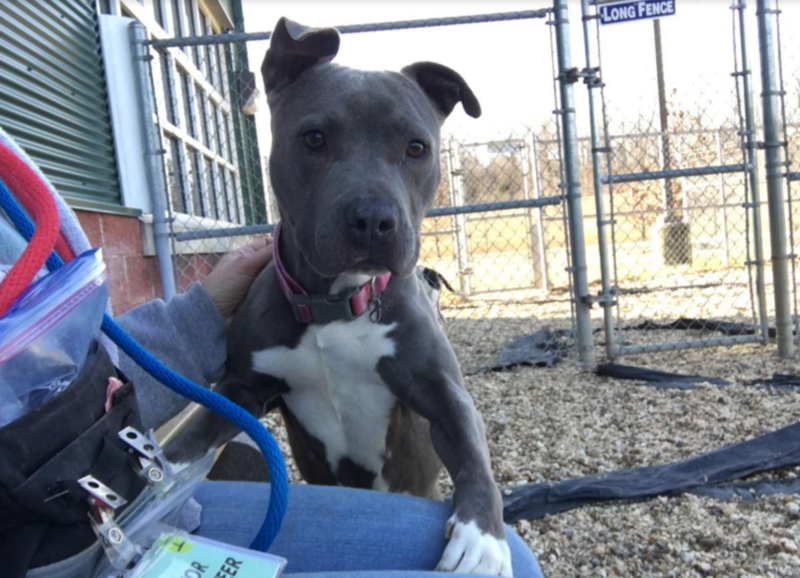 Two year old, adorable Madonna landed in a shelter as a stray in a county that doesn't allow her breed type – even nice pit bulls like her – to be adopted out; leaving rescue her only option. With flying colors, Madonna passed her temperament-test, where she was introduced to people and several other dogs. She treasures the time she spends with people so, she has quickly become a volunteer favorite. Her sure-fire trick to make you say, "awwww," and give her a treat is to gently give you her paw. Most times it's the right paw but Madonna also likes to mix it up and throw in a left paw now and then. This sweet gal is also easy to walk on leash, takes treats very gently, and is a dream-passenger in the car where she looks out the windows and lays down to enjoy the ride. Madonna is a house-trained spayed female with up-to-date vaccinations. She will be good in a home with children and other dogs.